Wedding PR: Forbes, Huffington Post, Elite Daily and more! It’s Monday, which means we’ve got some great client features to share, including Forbes, Huffington Post, Elite Daily and much more! Check out even more features below. 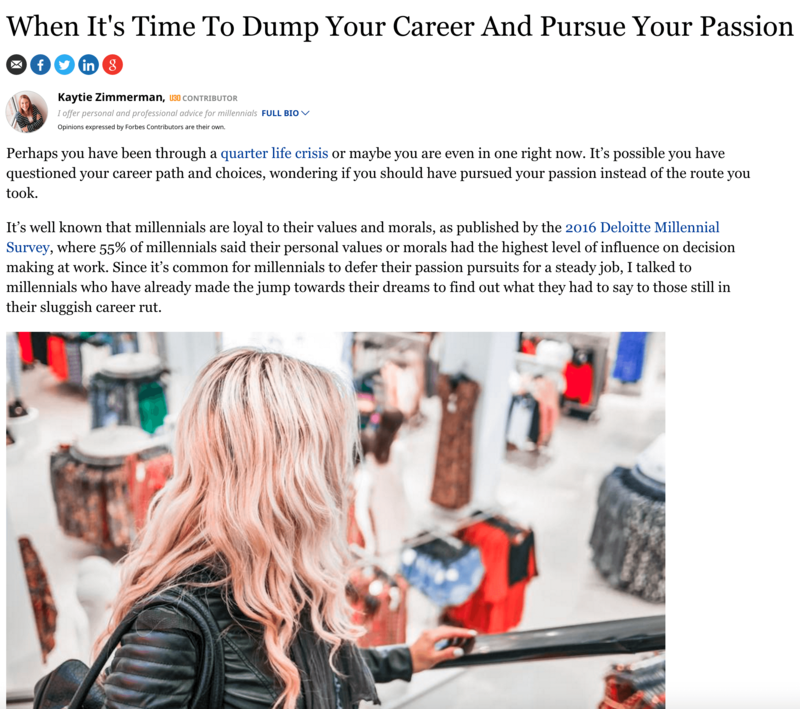 LadyMarry was featured on Forbes in the article, When It’s Time to Dump Your Career and Pursue Your Passion. See the full feature here. Mike B Photography, Be Photography, Passport to Joy, Turner Photography Studio, Destination Weddings Travel Group, and Taylor’d Events Group were featured in the Huffington Post article, Spring Clean Your Wedding Budget. See the full article here. Destination Weddings Travel Group and Passport to Joy were featured in Elite Daily‘s article, 8 Clever Ways to Save Tons of Money on a Destination Bachelorette Party. See the full article here. Belladeux Event Design was featured on AllSeated with her guest article, Wedding Design Trends 2017. See the full feature here. Destination Weddings Travel Group was featured in the Brides article, Boozy Honeymoon Destinations for Those in Need of a Post-Wedding Drink. See the full feature here. Cocoon Events Management Group was featured on PartySlate with their real wedding feature, Teo and Louisa’s Glamorous Moroccan Wedding. See the full feature here. Nahid’s Global Events was featured on PartySlate with their real wedding feature, Aparna and Shalindra’s Luxury California Wedding. See the full feature here. Cocoon Events Management Group was featured on Inside Weddings with their real wedding feature, Modern Destination Wedding with Traditional Elements in Morocco. See the full feature here.